We're a family run business who have been designing and creating each customer's perfect bespoke furniture for 25 years. We take pride in each hand-crafted detail and our experienced team will help you from the design through to the build and ultimately the installation. Petersfield carpenters was established in 2000, with over 20 years experience in a wide variety of property developments, commercial and domestic refurbishments and a host of wood working projects. Petersfield carpenters has gone from strength to strength. 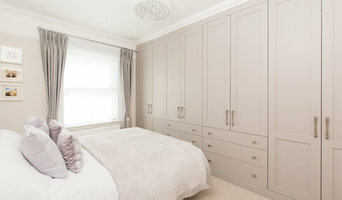 We take on all sorts of projects, from the smallest: fitting skirting boards, door hanging, flooring, and decking to designing and making unique bedroom furniture and bespoke kitchens. We offer CAD (computer aided design) so you can see what your fitted wardrobe or kitchen will look like before its even built. Petersfield carpenters also project manage small building jobs including extensions and roofs, property maintenance & refurbishment. We work closely with other trades that are just as reliable and skilled as ourselves. We also offering a face lift service, this will help renovate your tired looking house and give a new lease of life 'don't move improve'. Here at Petersfield carpenters we have many ideas to make your house the luxurious home you've always wanted. All estimates are free of charge. Evergreen Interiors is based in Southsea Portsmouth. As an established independent business, Offering a bespoke and personal service to all our clients at all stages of the project whatever it's size we ensure that the needs and requirements of the customer are put first. Specialising in bespoke joinery for stylish living spaces and fully finished Kitchens, we aim to provide the highest quality service, maintain good working relationships and a respectful quality service. We endeavour to always deliver on time and consider reliability to be paramount. We take great pride in providing a first class finish. Professional joinery and carpentry services. Specialising in staircases, windows and doors but also offer expertise in bespoke kitchens and furniture. 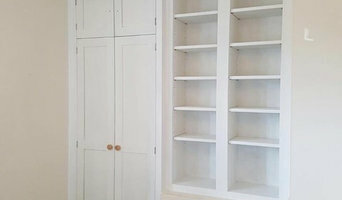 We cover most carpentry aspects of work: doors, floors, kitchens, bathrooms, wardrobes, bookcases, cupboards. Also, we carry decking installations, building bespoke sheds, pergolas, etc. We’re a family firm that has been producing high quality bespoke joinery since 1989. We have a commitment to quality and style combining traditional craftsmanship with new technology. 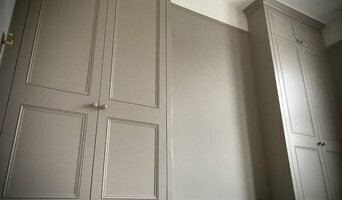 Carpenter and joiner, fitted furniture installer. Supply and fit, labour only. Established in 1979, Input Joinery Limited has built a reputation for quality products and customer service. With a great deal of experience and knowledge across the whole spectrum of the joinery industry, our aim is to supply our customers with superior quality joinery, which includes high performance windows and doors, conservatories, orangeries, and staircases. Input Joinery is continuing to be vibrant and dynamic, at the forefront of the industry, meeting new challenges, moving forward, exploring new markets and fine tuning its operation to ensure the company is ideally positioned to take advantage of the improving market opportunities. After extensive research and development we have created a fusion between the beauty of the past and the latest performance technology. All of our products are of a superior quality and offer the highest level of performance. We are a well established company which prides its self on building what our customers want . Turning their dreams and ideas into reality. We will help you plan your extension or conversion, giving suggestions and ideas based on experience combined with what you the customers is looking to achieve. We can deal with the architects, structural engineers and building control or provide you with our design package. All our different trades are very friendly and approachable with plenty of advise to achieve your dream . 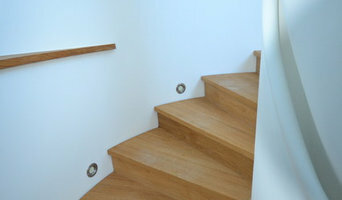 Period & Modern Joinery LTD look’s to offer the highest quality of Joinery on the market today. Since 1992, we have provided the highest service to our customers and have assisted them in achieving their goals. Our 18 years of experience and commitment to excellence have earned us an enviable reputation in purpose made joinery. Our Values Leadership: At Period & Modern Joinery Ltd, you receive the kind of quality and service you expect. Our company is always evolving as the needs or our customers change and as new opportunities are created in the market. You can rest assured that, working with Period & Modern Joinery Ltd, you will enjoy the latest services, technology and developments in the industry. Teamwork: We make it our responsibility to know you and your business. We work closely with you to ensure that the solutions we provide are tailored to meet your unique needs and challenges. We are committed to your success. Customer Relations: At Period & Modern Joinery Ltd, our highest priority is satisfied customers. You are important to us. We seek to provide Superior customer service at Period & Modern Joinery Ltd. We are proud to serve you and work hard to earn your business. Artisan Carpenters are a local business the supply a professional quality service, be it bespoke project or just fitting a single door. AMT Projects is a Carpentry/ General build company working in Portsmouth/fareham/stubbingington and surrounding areas. We specialise in most kinds of carpentry/building work and have a long history of very satisfied customers. The vast majority of our business comes from words of mouth and repeat business, which we believe is a testament to the quality of the service and workmanship. We are always happy to take on new customers and have many satisfied customers who will be delighted to act as a reference. When deciding whether to employ a joiner or carpenter in Portsmouth, Hampshire, it is best to pick your professional according to their experience on projects similar to your own. For example, installing bespoke joinery such as a staircase involves significant structural work and you might want to work with a carpenter in Portsmouth, Hampshire with considerable experience in bespoke staircase joinery. You will often find you need to employ both a carpenter and joiner on a single project, and some firms will offer both skillsets which can simplify your overall hiring process. Where can I find a good Portsmouth, Hampshire carpenter or joiner? On Houzz there are many professional Portsmouth, Hampshire carpenters and joiners that specialise in providing a full carpentry service or bespoke joinery in Portsmouth, Hampshire, whether dealing with fitted or freestanding, traditional or contemporary furniture. Simply search for a joiner or carpenter in Portsmouth, Hampshire in the Find Pros category, then add images of designs that you like to an Ideabook and contact those on your shortlist. If you need reassurance beyond photos of their work and reviews of previous clients, then you might check to see if the carpenter or joiner is a member of The Institute of Carpenters (IOC), The Guild of Master Craftsmen, the British Woodworking Federation (BWF) or the Federation of Master Builders (FMB). Each asks its members to meet a certain level of expertise and abide by a code of conduct. Have a face-to-face consultation – basic brief and image references in hand – see which joiner or carpenter in Portsmouth, Hampshire is the easiest to get along with and who best understands what you’re trying to achieve. How long have you been a joiner or carpenter in Portsmouth, Hampshire? 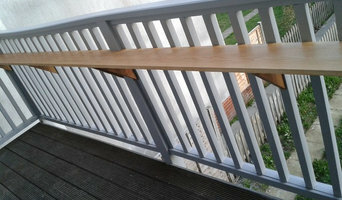 Do you offer bespoke joinery in Portsmouth, Hampshire as well as standard carpentry? Find a carpenter or joiner on Houzz. Narrow your search in the Professionals section of the website to Portsmouth, Hampshire joiner and carpenter professionals. You can also look through photos of woodwork and bespoke joinery in Portsmouth, Hampshire by style to find a design you like, then contact the joiner or carpenter in Portsmouth, Hampshire that worked on it.